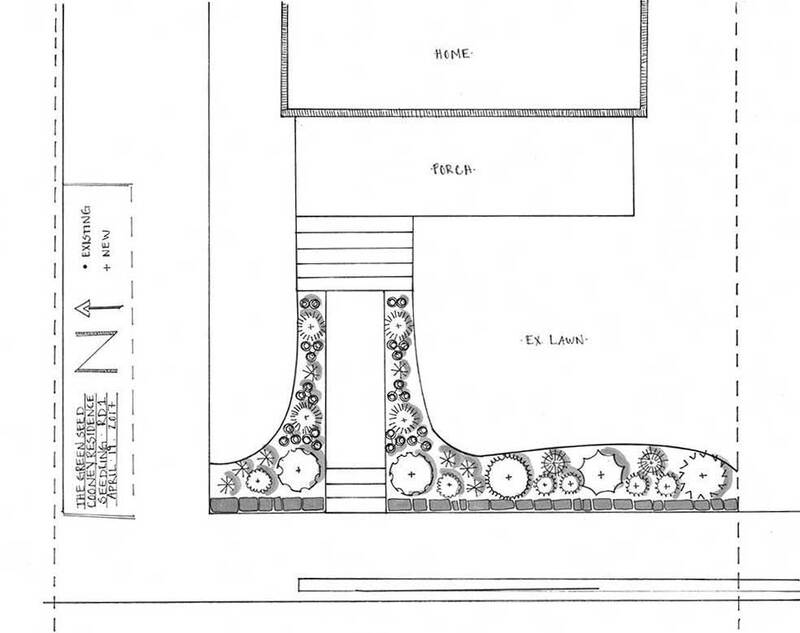 We specialize in a sustainable landscape design approach. 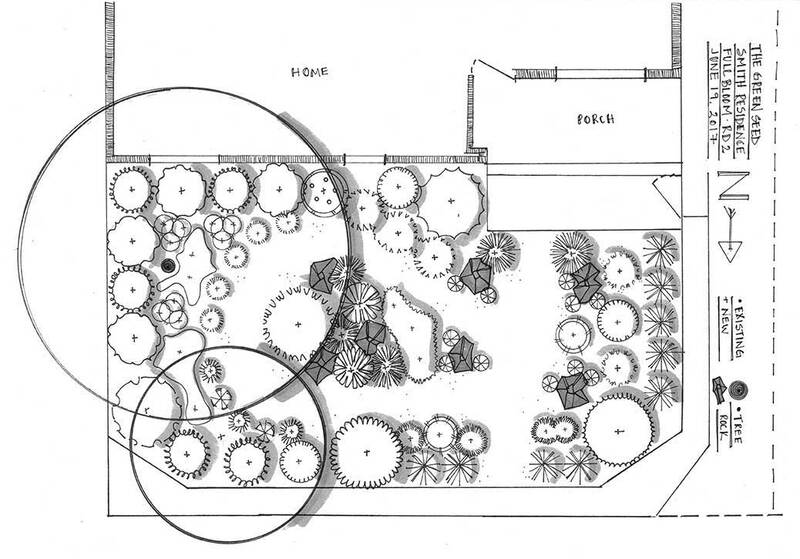 To do this we add rain gardens/bio swales when possible and applicable. 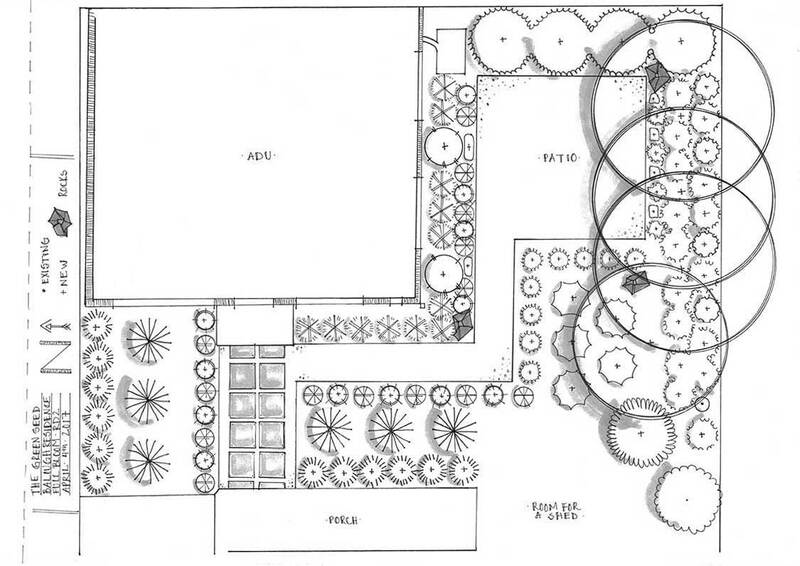 Within our design and planting plans, we concentrate on drought tolerant plants which include many natives, edibles and pollinator attractors. We also utilize sustainable materials such as recycled concrete as a base material for hardscaping and are happy to re-use any salvageable materials already on site. In order to reduce water usage, carbon emissions and water pollution from fertilizer run-off we will only install up to 1000sqft of drought tolerant Tall Fescue sod. Instead of larger lawns we encourage the practice of xeriscaping which is selecting drought tolerant plants that will perform well with little to no supplemental water once established. Every project begins with a consultation. A Green Seed consultation is an opportunity to meet with Emily & Austin. Together we will walk your property, assess your site (light, soil, etc. 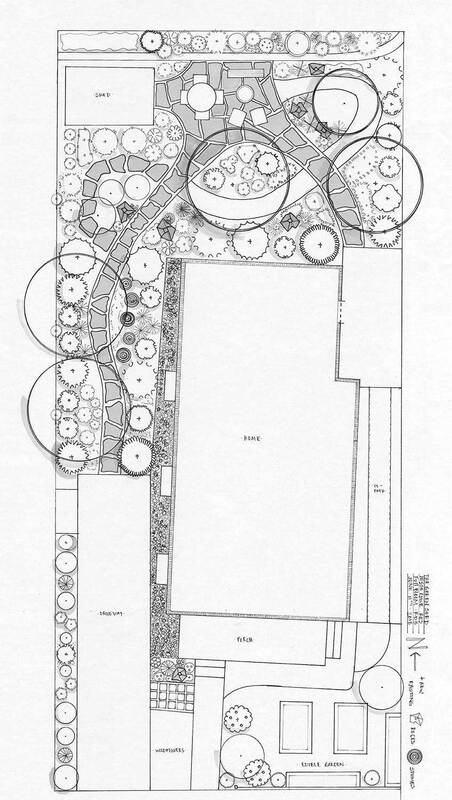 ), review existing plants and garden structure. 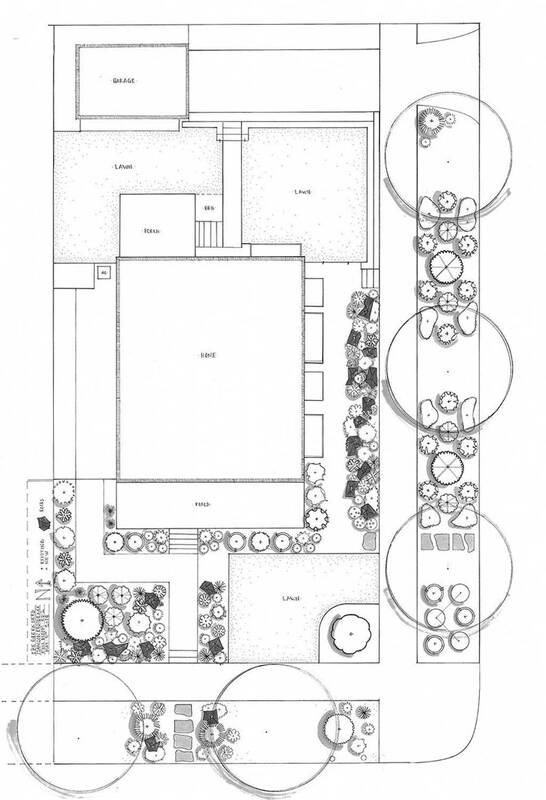 We encourage you to be involved in the garden transformation process. During this process we like to find out more about your goals for your property. 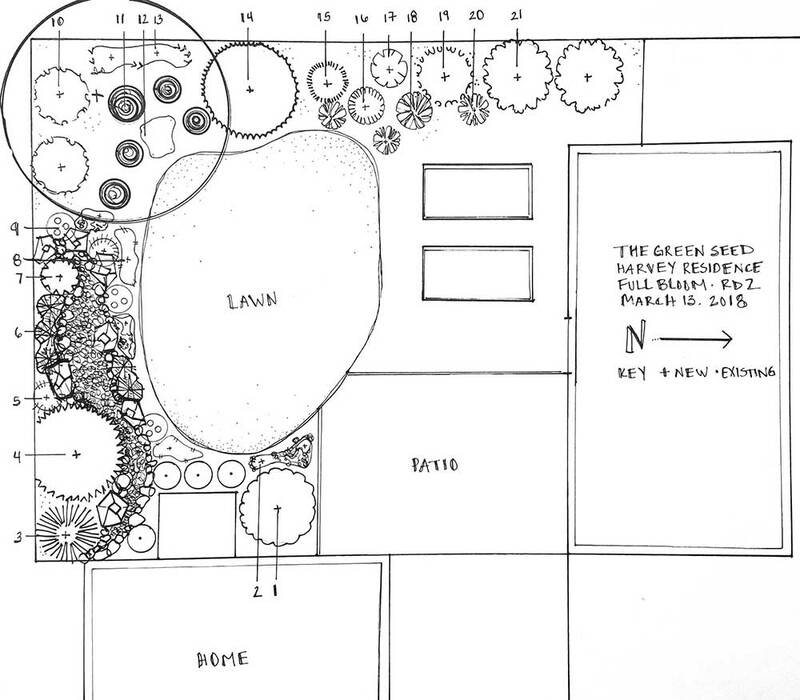 How you will be using your yard and your plan on caring for your garden are a few of the topics we will cover. 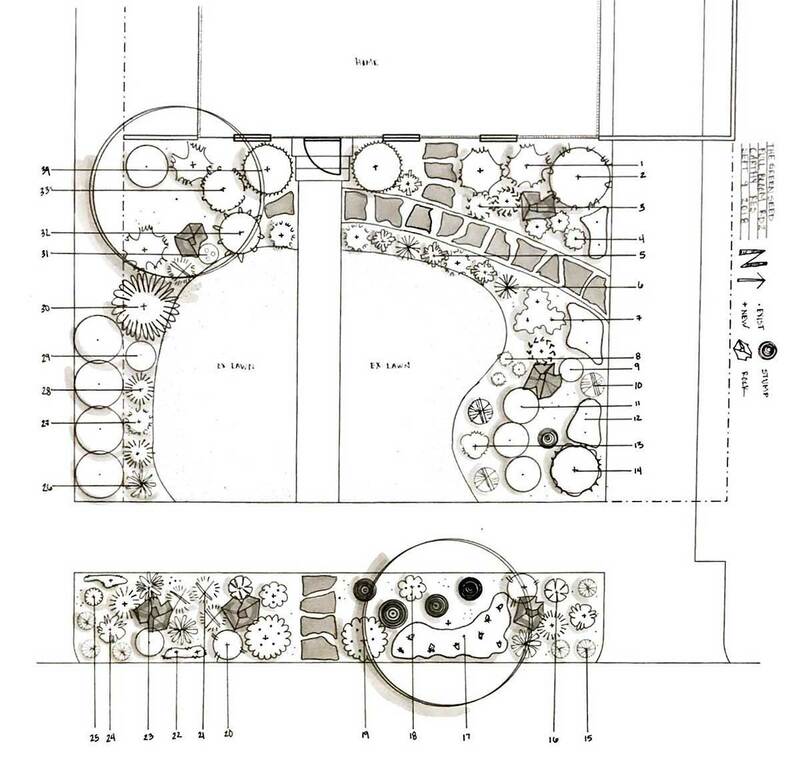 In turn the information you provide will help us get a clear picture of your landscape design + build ideas/needs. Need a design & install? 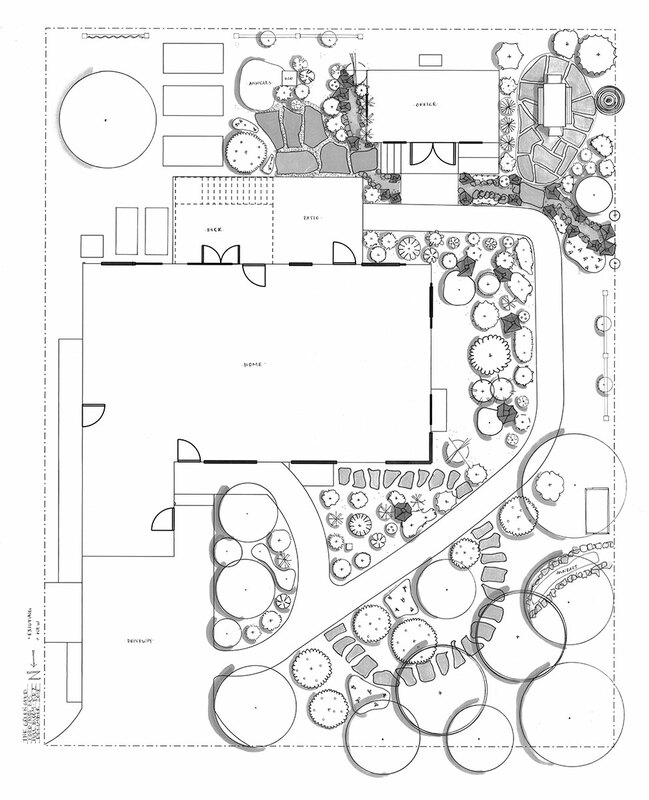 Our Design + Build consultation will help us determine if you need a Full Bloom or Seedling design package. 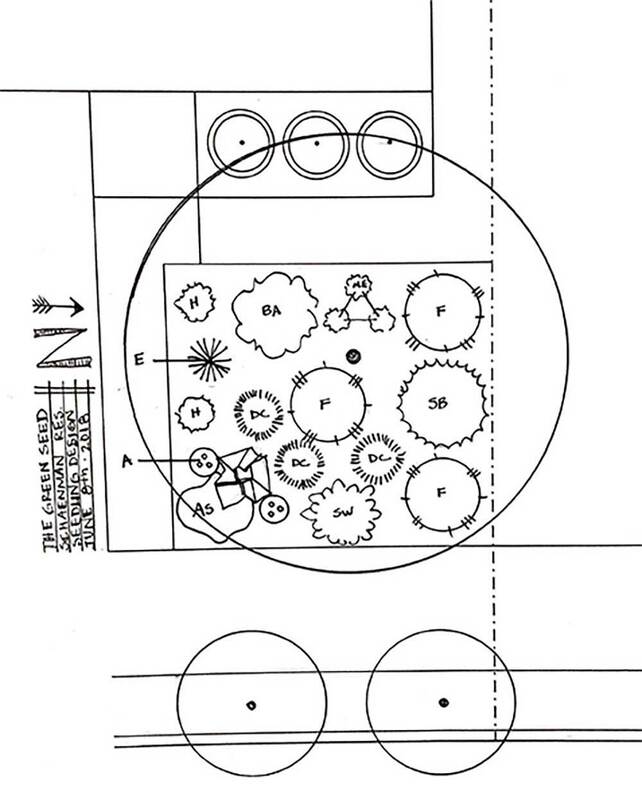 Garden Ideas? Looking to learn more about your garden? Did you just move in and need to know what you inherited in your yard? 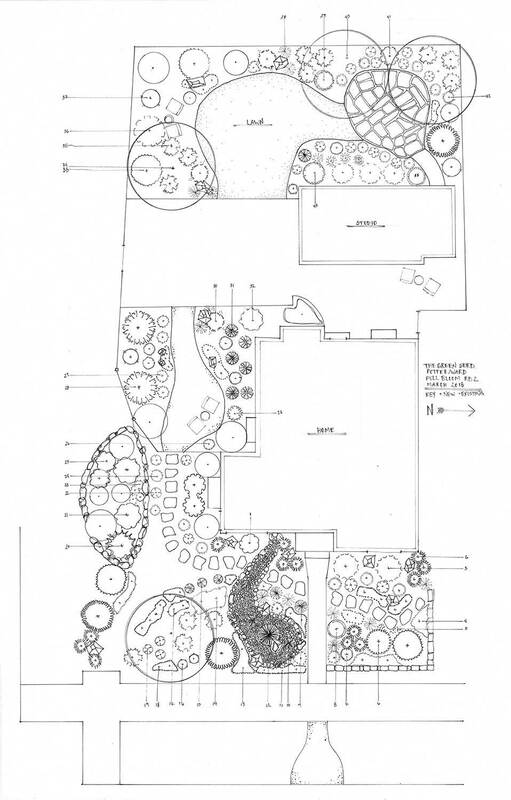 We provide a stand alone Garden Ideas Consultation that will get you started. Are you DIY'er? We are happy to use our expertise to come up with DIY ideas and help direct you on the right path. During this time you can decide whether you would like a follow up plant list/look sheet. 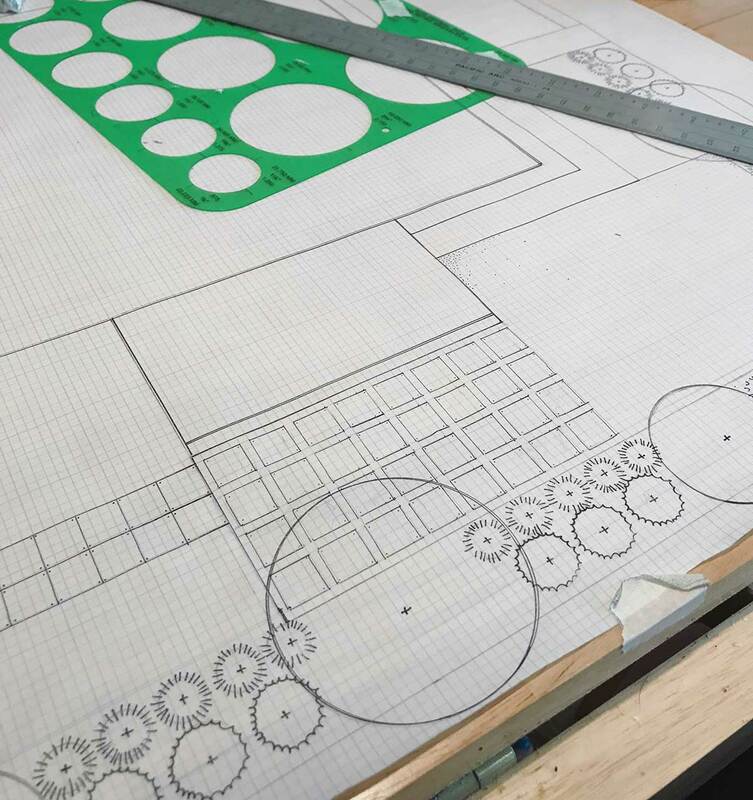 A seedling design is perfect for smaller spaces such as a parking strip, an overgrown flower bed, the patio you have been wanting for years, or a new edible garden. 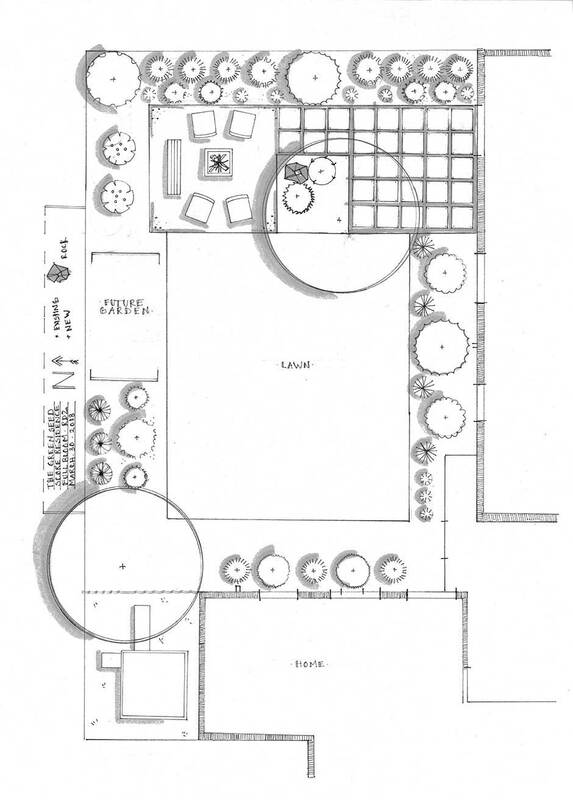 We will work with you to help maximize your smaller spaces. 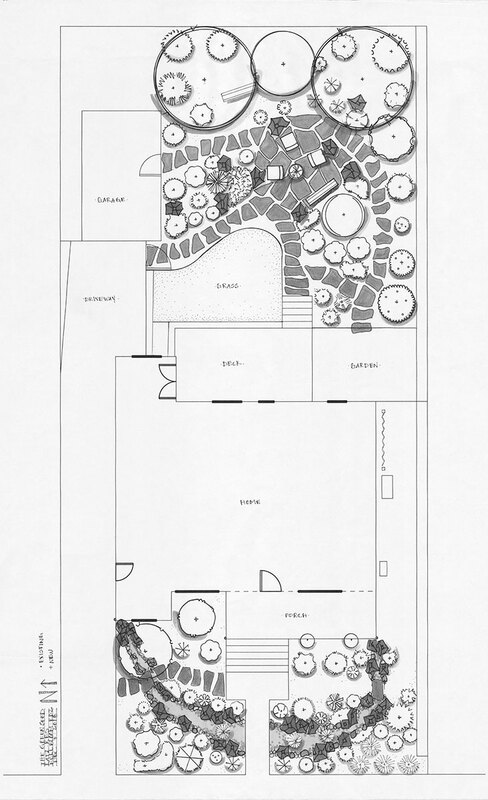 This is a great plan if you are looking to refresh your landscaping but don't need a complete overhaul. Updated final design with changes we have agreed upon. 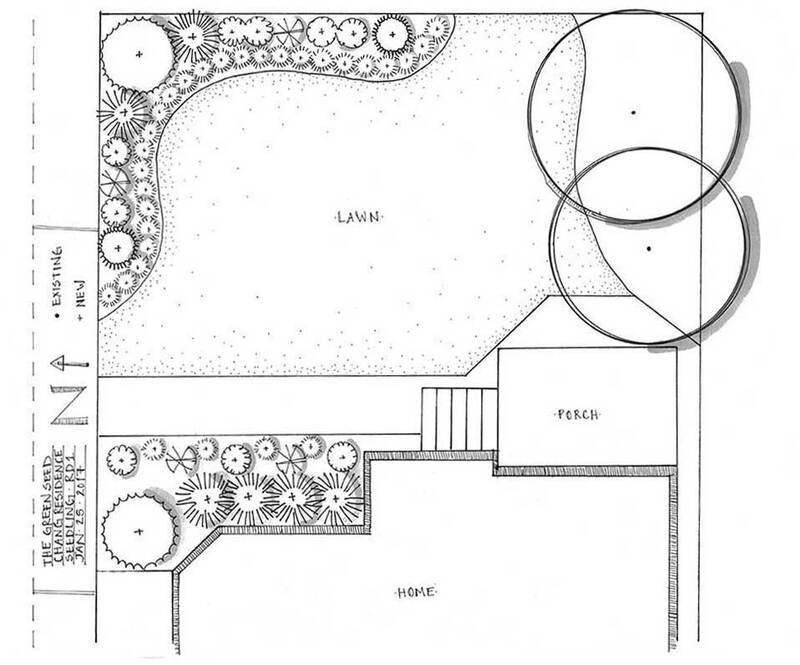 A Full Bloom Design is ideal for creating or recreating a yard that is perfectly suited to your needs. We take great pride creating outdoor livable spaces for you to enjoy throughout the seasons. 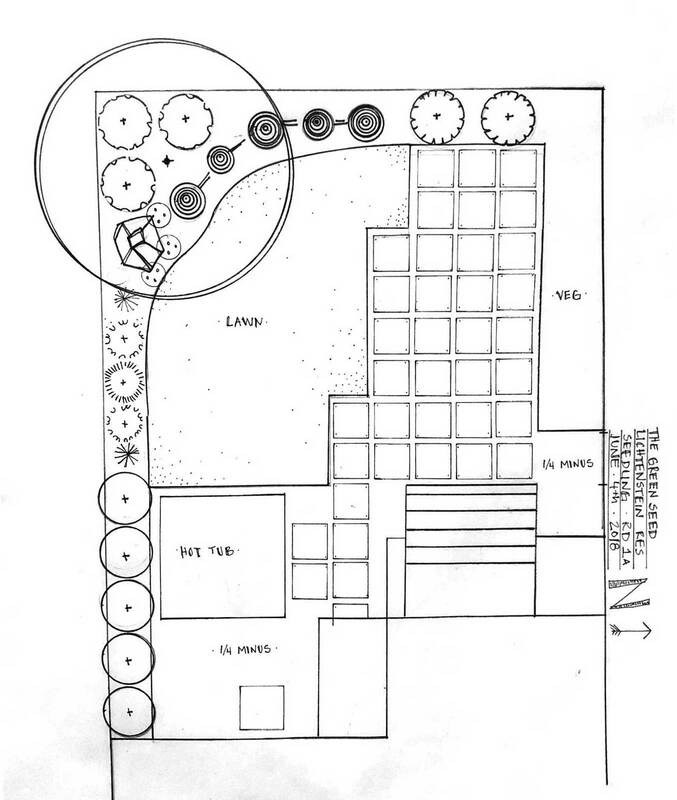 We often include; hardscaping, edible gardens, playscapes, rain gardens etc. 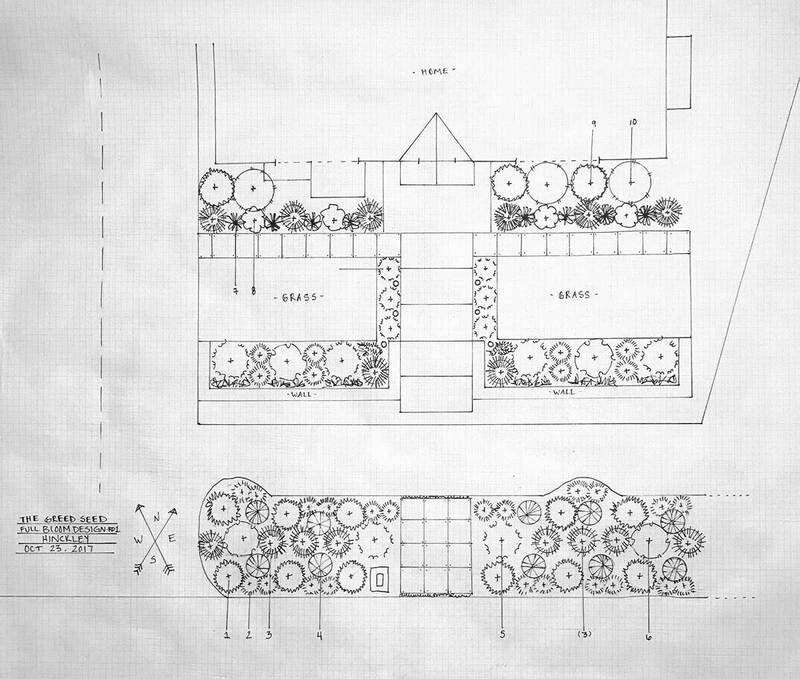 All projects that include construction drawings and layouts will be a full bloom package.